Island time means no worry, no hassle. We don’t do wake up calls. In fact, our rooms don’t have phones, or TV. They are comfortably furnished with an island décor and we don’t scrimp on the towels. We are happy to point the way to the best snorkeling or swimming beaches, suggest kayaking, reef or fishing trips, tours of the bioluminescent bay and recommend dining spots on the island (but don’t tell our cooks)! Leave it all behind when you come here. You won’t be sorry, and we know you’ll come back! 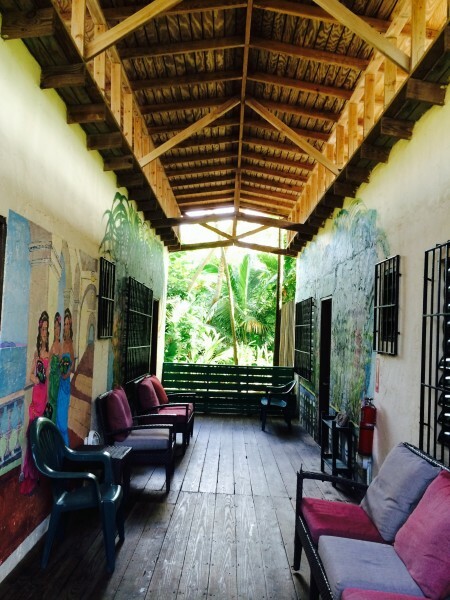 There are two ways to get to Vieques: by plane or by ferry. You can fly from San Juan International Airport (25 min), Isla Grande Airport (20 min) or Ceiba (10 min) or take the ferry from Fajardo ferry terminal (1.5 hours). 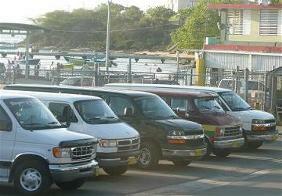 Once you get to Vieques airport or ferry terminal, you will notice taxi vans (publicos) waiting outside, with drivers offering rides (see photo of ferry terminal with publicos waiting on the right). 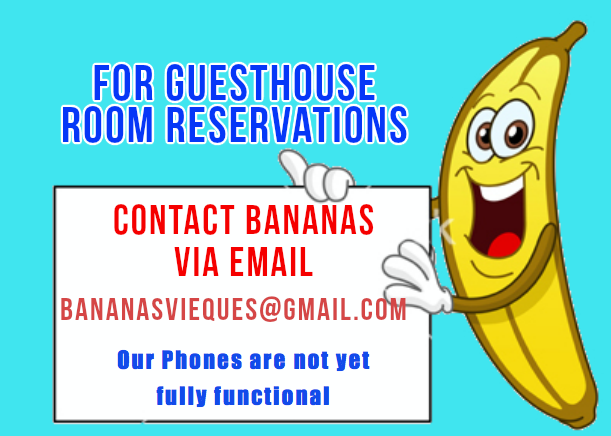 Tell them you are going to Bananas in Esperanza. It costs about $3 per person plus 50 cents per piece of luggage. Tariffs may vary if there are only two of you or if you call them in advance. 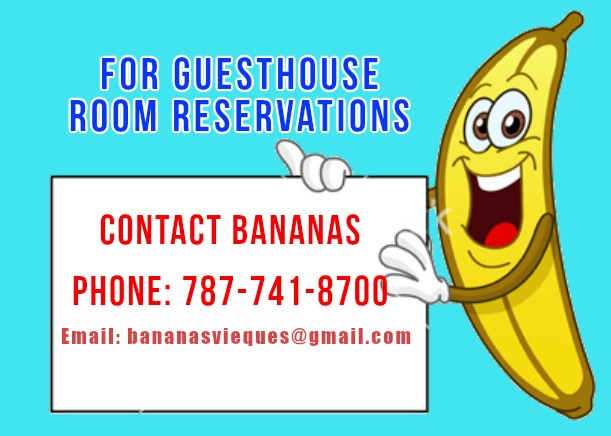 Copyright © 2019 Bananas Vieques Guesthouse.